The Hylozoic Ground Project has amongst other been selected to represent Canada at the 2010 Venice Biennale in Architecture and the Sydney Biennale 2012, SYBIL. Epiphyte Grove is commisioned by Meta.Morf 2012. Artificially alive artwork tantalises and surprises! 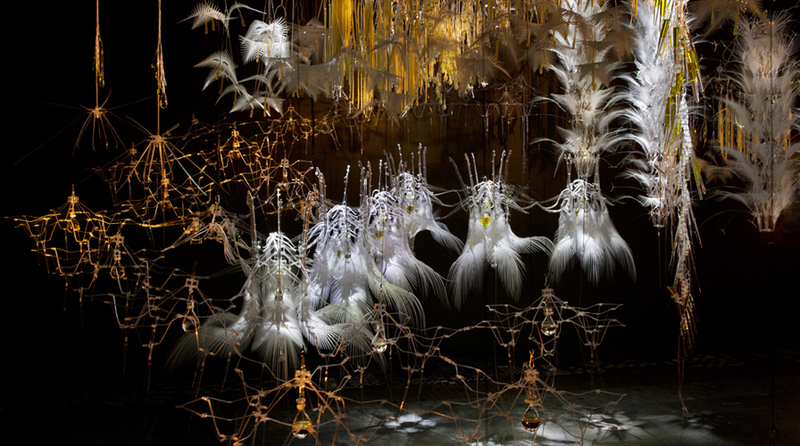 Article in New Scientist, July 4, 2012, on Beesley @ the 18th Sydney Biennial (SYBIL). What if the buildings around you were alive, and responded to your touch? 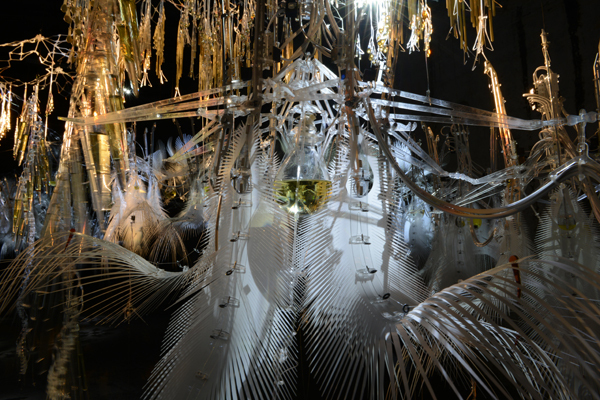 Hylozoism – the theory that everything is alive – is the philosophy behind Philip Beesley’s Hylozoic Series: Sibyl, an exhibit at the border of architecture and science fiction that is now on display in Australia at the 18th Biennale of Sydney. Equal parts robotics, chemistry and prototypical architecture, the exhibit is a distributed network of interactive, moving and almost living elements. “I would say this is a work of sculpture and a work of architecture,” says Beesley, a Canadian artist and architect.